Welcome to CALM Driving’s ‘BECOME A DRIVING INSTRUCTOR’ one to one training. Thank you for your interest about instructor training. This website is designed to give you all the information you need to start your new career. There are many reasons why people enjoy being a fully qualified driving instructor- good salary, flexible hours, be your own boss and security among other reasons. Driving Instructors are in demand in the UK and it is a career that brings stability. I can tell you that being a driving instructor is rewarding and challenging and gives a sense of achievement like no other job. My name is David Musk and I have been a driving instructor for seventeen years, i have been Instructor training for twelve years and i am very proud of my pass rates and achievements in the business. To see a brand new qualified instructor start there new career really is a sense of achievement for me and the person i have trained. People of all ages and from all walks of life become a driving instructors. The skills to become a driving instructor are many. You will spend the day teaching and coaching how to Move off and stop, deal with junctions, deal with pedestrians crossings and signals , use of speed ,dual carriageways manoeuvring the vehicle and of course teaching safety skills and highway code rules and regs. These skills must be developed by you using the correct teaching techniques. Yes it does. As a fully qualified driving instructor you can earn £900 per week with ongoing training it can be a lot more. You may wish to teach fleet training or become a instructor trainer which all allows you to earn more money. Many years ago families only had one car but now Mum, Dad , and the kids all have cars and that has put demand on more driving instructors to come into the business. So now is a great time to start your new career. Can Anyone become a driving instructor? The DVSA (Driving Vehicle Standards Agency) require that anyone wishing to train as a driving instructor has no more than six penalty points on their license, have held a valid full UK license for at least three and half years and meet the physical criteria required to safely control a vehicle. Why should I choose CALM DRIVING for my training? At Calm we are experts in instructor training and accredited by the ‘Driving and vehicle Standards Agency’ and we are registered in the ‘OFFICIAL REGISTER OF INSTRUCTOR TRAINERS’. 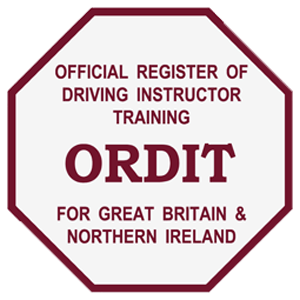 That means our training has met the high standards needed to give potential driving instructors the skills they need to start there new career. We also only do ‘one to one’ training which means you will progress faster and get the full attention of your trainer. What areas does CALM DRIVING cover? Our training is carried out in the Poole / Bournemouth area but we can help with accommodation if you would like to do a Intensive/semi intensive course over one or two weeks. What does the Intensive course cover? We are so glad you are considering Instructor training with CALM DRIVING. Use the contact form on this page and we will get back to you. We are not a pressure sales company. We are a family run business with your needs at heart. Feel free to browse our website.